OTTAWA - A new study says the Conservative government's plans to double contribution limits for tax-free savings accounts would cost billions in lost tax revenue and primarily line the pockets of wealthy Canadians. 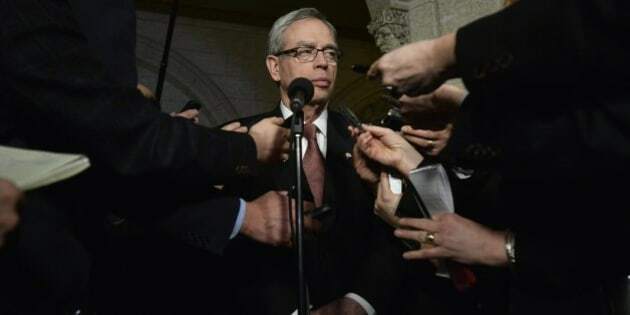 The report by the left-wing Broadbent Institute says most Canadians would not benefit from the plan to nearly double the TFSA contribution limit to $10,000 a year, up from $5,500. Instead, the report says, they would bear the burden of reduced public services or higher taxes to offset the lost revenues. The study was written by Jonathan Rhys Kesselman, an economist whose research on so-called tax-prepaid savings plans laid the groundwork for the government's initial introduction of TFSAs in 2009. Finance Department estimates suggest the accounts reduced Ottawa's revenues by $65 million in 2009, $165 million in 2010 and $160 million in 2011. Those same estimates projected a hit of $295 million in 2012 and $410 million in 2013. Parliamentary budget officer Jean-Denis Frechette releases his own report today on the short- and long-term impact tax-free savings accounts will have on government finances. The accounts complement existing retirement savings tools like RRSPs by allowing investment income to grow tax-free and unused contribution room to be carried forward to future years. Unlike RRSPs, however, the contributions themselves are not tax-deductible. Kesselman's study found that by the time the existing TFSA framework matures in 40 or 50 years, it will cost the federal government as much as $15.5 billion annually. It also predicts that the tax-free nature of the accounts will eventually cost the provinces as much as $9 billion annually — a figure sure to grow larger should contribution limits be doubled. Economists have long warned that higher TFSA limits would have the greatest impact on public finances years from now, making them attractive election promises, since future governments will be the ones footing the full bill. Kesselman calls the proposal a "ticking time bomb." His report has also found that those taking advantage of the accounts already earn high incomes, a trend that would be "accentuated and accelerated by a doubling of the contribution limits." "The long-run benefit from doubling TFSA limits would go overwhelmingly to the wealthy," Kesselman says. The study also says the proposals would do little to spur economic growth "given the weak and broken linkages between household saving and domestic business investment." Kesselman brands the plan an even worse idea than the government's controversial income-splitting initiatives. Income splitting has become a popular target for the government's political rivals and critics, who argue only about 15 per cent of Canadian households would benefit from it.